The Joe "Bud " Dowdy Trio performing on the WNRV New River Valley Jamboree show at the Old Virginia Smokehouse on3/24/12. This show was broadcast live on WNRV. 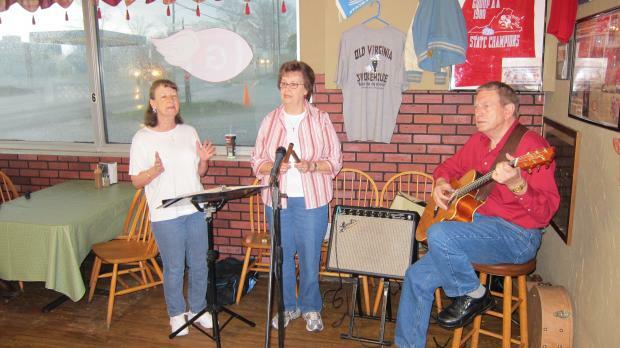 Joe "Bud" Dowdy (guitar and vocals), Nancy Dowdy (percussion and vocals), and Violet Broomfield (vocals).